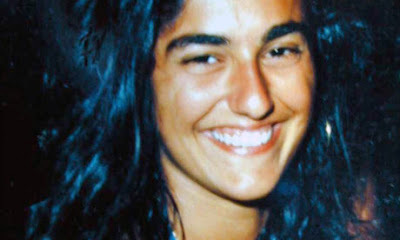 The Islam Awareness Blog: Shall we let Eluana die? As for facilitating death by withdrawing artificial resuscitating apparatus from the patient who is clinically regarded as “dead” or “practically dead” because of the damage to the brainstem or brain, with which human beings live and feel; if the action of the physician is merely stopping the treatment instruments, it will be no more than giving up the treatment, in which case his action is legal and permissible, bearing in mind that these instruments can preserve the apparent life of the patient - represented by breathing and circulation - though the patient is actually dead, for he cannot conceive, feel or be sensitive to anything because of the damage of the source of all that, namely the brain. Keeping the patient in that state would waste vital resources and would prevent other maybe curable patients from benefiting from the instruments being occupied for the practically dead patient. But in the current situation, she is not really brain dead so would leaving her to die be justified? In another hadith narrated by al-Tirmidhi we read: “O Allah’s Servants! Seek treatment, for Allah does not create a disease but creates a treatment for it.” In the hadith narrated by Ahmad we read: “Allah created no disease but created something to cure it. Some may know it and some may not.” So these Prophetic hadiths give us hope of discovering cures for what we term today as ‘incurable’ diseases. A British company is to begin trials of zolpidem on up to 30 patients later this year, such is the promise shown by the drug at temporarily bringing people out of vegetative states. Louis, a young South African, had been in a coma for more than three years when he was given the pill as a routine sedative in the care home where he was being treated. To the amazement of his mother and doctor, within an hour he was awake and speaking again. The effects of zolpidem lasted for about four hours, before Louis, who was 31 at the time, slipped back into the permanent vegetative state (PVS). It was the first time that he had shown any awareness of people, and been able to respond to them, since a car crash three years earlier. A Polish railway worker has woken after 19 years of a coma to discover that his world has changed beyond all recognition. "When I went into a coma, there was only tea and vinegar in the shops," Jan Grzebski, now 65, told a Polish news channel. "Meat was rationed and there were huge petrol queues everywhere." Mr Grzebski lost consciousness in 1988, after he was hit by a train. Doctors gave him only two or three years to live. But because of the tireless care of his wife Gertruda, who moved him every hour to prevent bedsores, he remained in good health. He was, however, completely removed from the dramatic changes across the world. After regaining consciousness, he told his family that he had vague memories of family gatherings and of his relatives talking to him, trying to provoke a response. There was plenty for them to tell him about, if they had wished to startle him with amazing news. GRANDFATHER Sam Carter was rocked out of a 10-week coma by his favourite Rolling Stones song – the first single he bought as a teenager. Retired baker Mr Carter, 60, lost consciousness after contracting severe anaemia but was jolted back to life when (I Can’t Get No) Satisfaction blared into his ears. A woman who was in a coma for six weeks was woken from her condition by her granddaughter’s scream. Devbai Patel, 56, was left unconscious after she was hit by a lorry in a crash which killed the driver. Doctors reduced her sedatives to try to rouse her and her family talked to her, but she showed no reaction, so the medical staff suggested she might respond to her granddaughter Leela, aged 23 months. When they brought Leela in, she screamed to see her grandmother looking so ill, and Mrs Patel immediately opened her eyes. May Allah help her and her family and make the right decision for her. Amen.